This provided our students with four and a half weeks of preparation time. The 10-12th grade students this year had the added experience of completing this project last year. 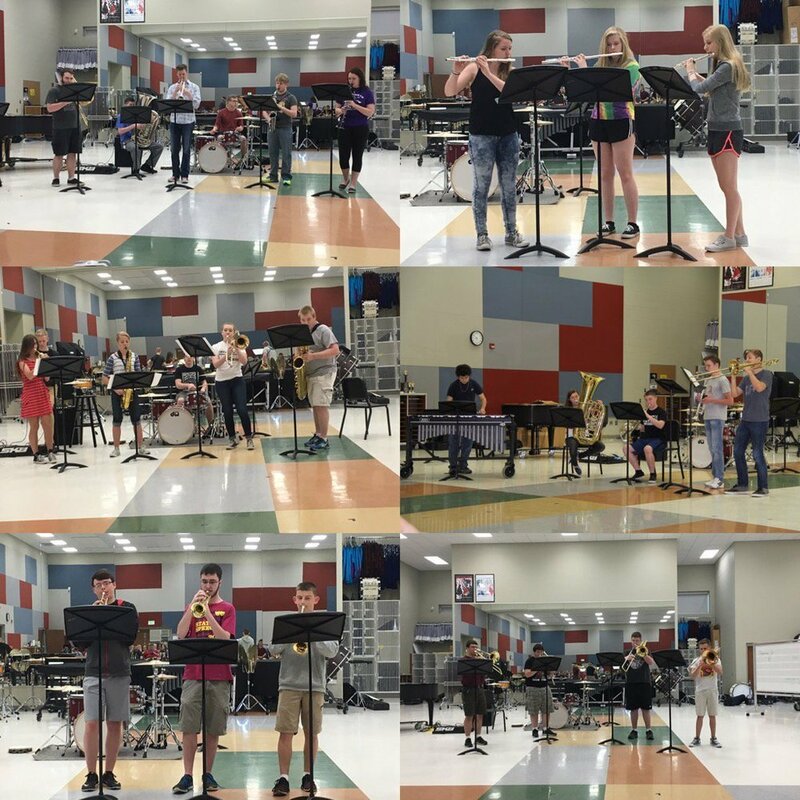 They had roughly two and a half weeks to plan, as we were still preparing for the Adventureland-Drake University Festival of Bands, the IHSMA State Large Group Festival, and our own Awards Concert. 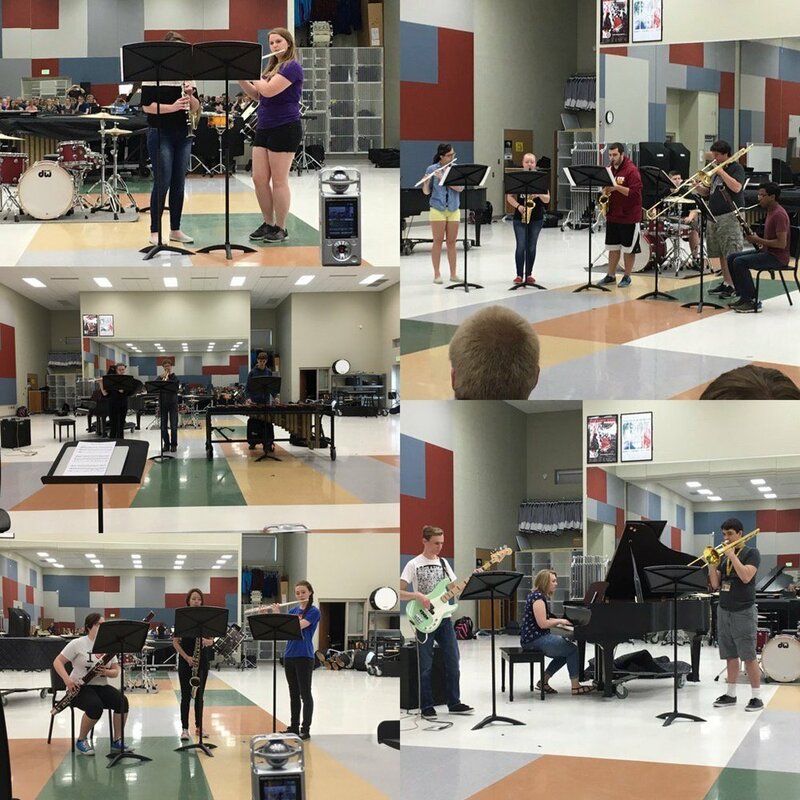 Following that May 9 concert, we gave our students gradually more and more rehearsal time until the Iowa Bandmasters Conference, when we gave them the full class period. (Shameless plug: my colleagues and I presented at the conference on Data-Driven PLCs in Instrumental Music). We had another week sharing time with our students rehearsing their ensembles and preparing for commencement before the week of performances. As part of our PLC process of determining assessments, we were looking for a meaningful capstone for our high school students. There was quite a bit of time between the end of the concert band festival season and the last days of school. We did not want to fill that time with music for our fall marching band show, nor did we want to spend all of that time working on music for commencement. In that particular year, there was also the added pressure of not having a lot of turn-around time prior to the senior's last day. Thanks to Governor Branstad, not only is this no longer an issue, but we have even more time between festival and the last day of school! 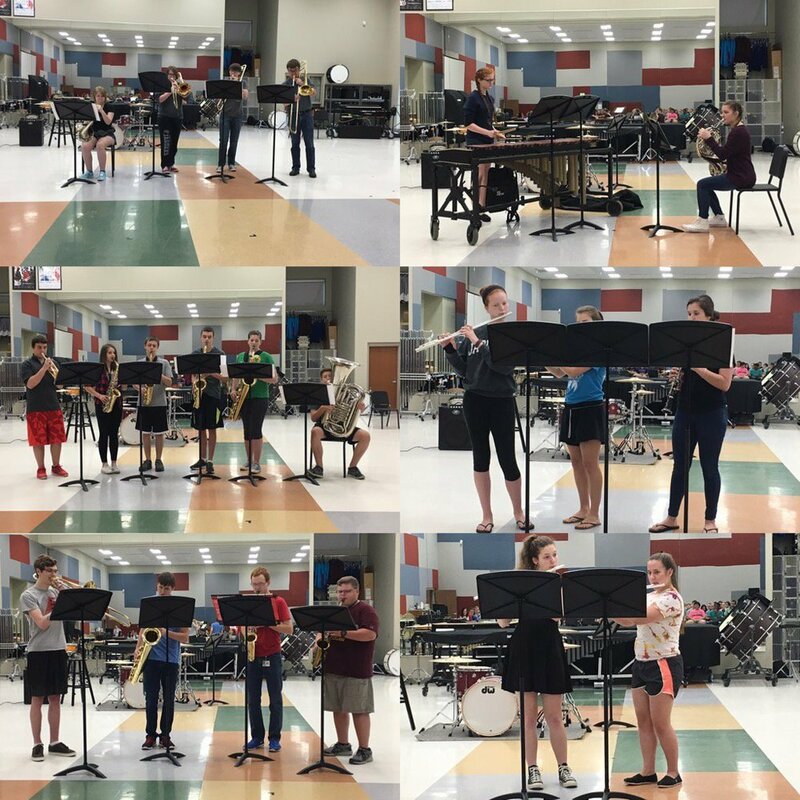 We modeled the regulations around the guidelines for the IHSMA Solo and Small Ensemble Festival and the Perry Band Olympics. Both years, we had a lot of students use MuseScore to find material they were interested in playing. Students found arrangements of songs from Disney, Panic at the Disco, Queen, Nintendo, Indiana Jones, Star Trek, Broadway musicals, and more. Some students also performed literature from duet books in our library. We have even had students write original compositions! In the first year, we didn't have a minimum or maximum number of students necessary in an ensemble. Some individual students chose to record and layer themselves in Audacity/GarageBand like the Mixcord app Acapella or the YouTube artist Christopher Bill. While a cool thought, we found many of our students didn't have the expertise necessary to make the technology work well. We also had some very large groups with multiple students playing individual lines, which defeated the purpose we were looking for with the project. For the second year, we scrapped the individual and recorded projects, as well as set limits on the size of the group. We provided the students with copies of Finale Notepad on our practice room computers, but found it very limited. MuseScore has a computer app that allows for the creation and editing of files from their website. It also allows you to download MusicXML versions of the files hosted on their site. The teachers ended up doing most of the work of transposing, editing, and printing the students files. We discovered (too late in the process this year) the online app Flat.io. Flat is an online music notation software that is far more robust than Finale Notepad. There aren't many limitations to the free version of Flat that would limit our student's use for the ensemble project. Our theory department is investigating purchasing licenses for students, as they are only $1.50 per student per year, and all our students will have Chromebooks next year. More on that in another blog post. In the second year, we had 26 performances over five days in 10-12th grade! We noticed that the quality of performances were much higher than the previous year, likely because of their previous experiences. 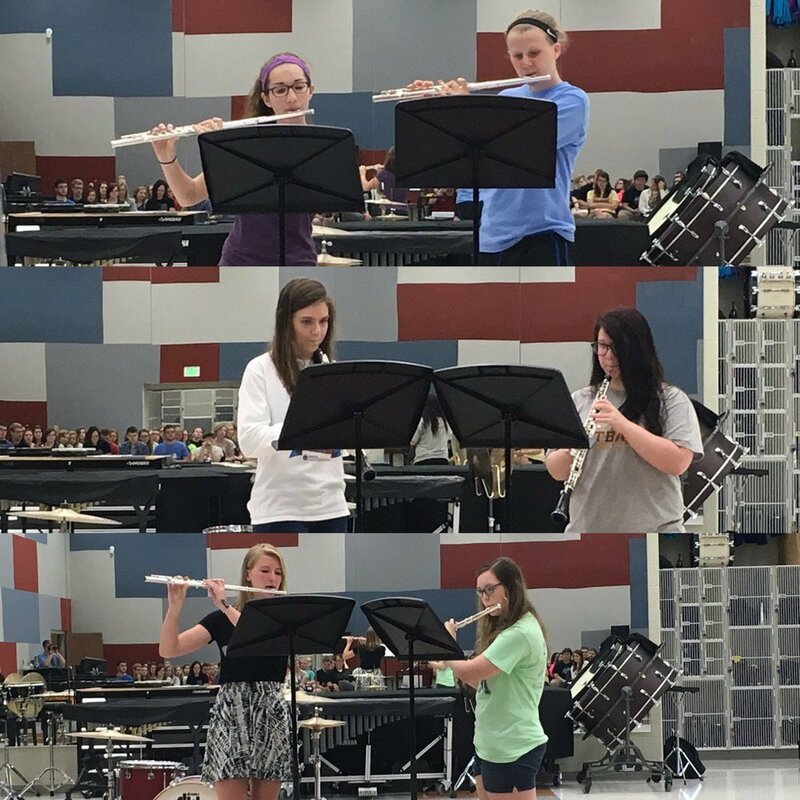 One of our goals for the 10-12th grade students next year is to develop stronger ensemble skills. Our district's instructional framework focuses on the gradual release of responsibility. For us, we want to focus on productive group work. We want to help our students build the skills they need to function without a teacher in an interdependent ensemble. This will peak with the ensemble project at the end of the year, but we will be intentional about literature selection and part assignment throughout the year to have structured small ensembles. With all of our students having Chromebooks, we hope to utilize Flat to help them better understand transposition, arranging, and how their individual parts fit into the whole. The utilization of Flat is a post within itself (coming soon!) in regards to its use on Chromebooks, Google Classroom integration, and more. As always, we'd be happy to discuss further getting this going with your students! Happy almost summer!